In honor of Petfinder’s 15th birthday, they are asking pet lovers everywhere to pledge to spread the word online about adoptable pets on March 15, 2011. Take their pledge that you will tell one person about pet adoption on March 15. 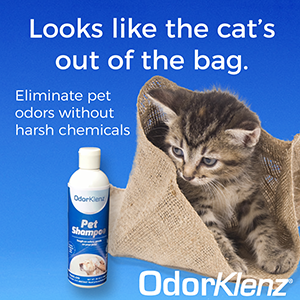 By pledging, you’ll enter for a chance to win one of 10 Pet Hair Eraser® Vacuums from BISSELL. Caption a Petfinder adoptable-pet photo on ICanHasCheezburger! The photos with the best captions will be featured on the ICanHasCheezburger.com homepage on March 15. By taking Petfinder’s pledge that you will tell one person about pet adoption on March 15, you’ll also be entering for a chance to win one of 10 Pet Hair Eraser® Vacuums from Petfinder’s partner BISSELL. I Pledge to Help Homeless Pets! Petfinder has been around for awhile and supports a great cause. It is important for your Visitors to know about aKeKee.com – The Pet Search Engine.™ as well. aKeKee is Petfinder and more. Thanks for posting this – I was confused with Petfinder’s instructions–I thought they just wanted all bloggers to post a Petfinder bio on the 15th. You you really clarified it for me. Count LAPCATS in – I’ve already posted the banner, and I’m recruiting my co-volunteers now! thanks for this additional info! You’re welcome, Layla. It’ll be fun to see the internet go to the pets on March 15. This looks like fun. We will have to do this. If only I had a better sense of humor to put on a picture. Oh well, all we can do is try. I would love to win that vacuum. Thanks so much for telling us about it. Have a great day. That vacuum looks pretty cool, doesn’t it, Marg? Great post! I’m in… Thanks.